Do you know where your nan is right now? Is she enjoying tea and biscuits and a natter with her friends? Don’t count on it. Maybe she’s busy saving the world in a ninja disguise. Not all nans are normal! This time last year, Fred’s nan was just an ordinary kind of nan. You know: planting flowers, going to bingo, knitting baggy jumpers. The usual stuff. But then Fred found a note stuck to the fridge: “Dear Fred, I am running away to join the circus”. 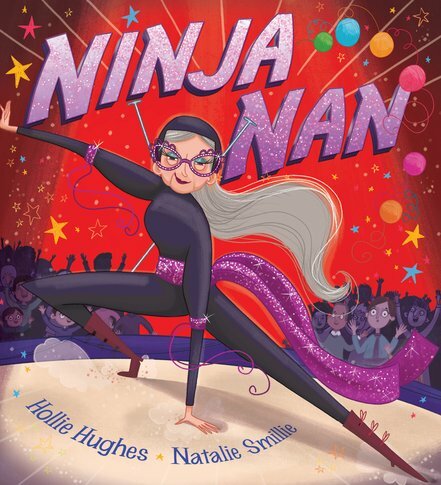 Now life’s all tightrope walks and superhero stunts for Fred and his Ninja Nan! AD750L Lexiles are the global standard in reading assessment. They are unique as they are able to measure a child and a book on the same scale – ensuring the right book gets to the right child at the right time.